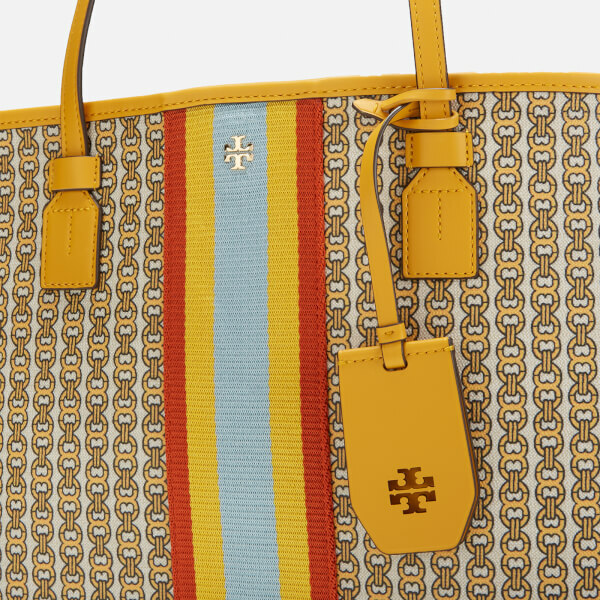 American fashion house Tory Burch’s iconic tote returns in new coated canvas adorned with an all-over chain print, a graphic abstraction of the brand’s signature double T logo, which symbolises the significance of the number two and zodiac sign of the designer. 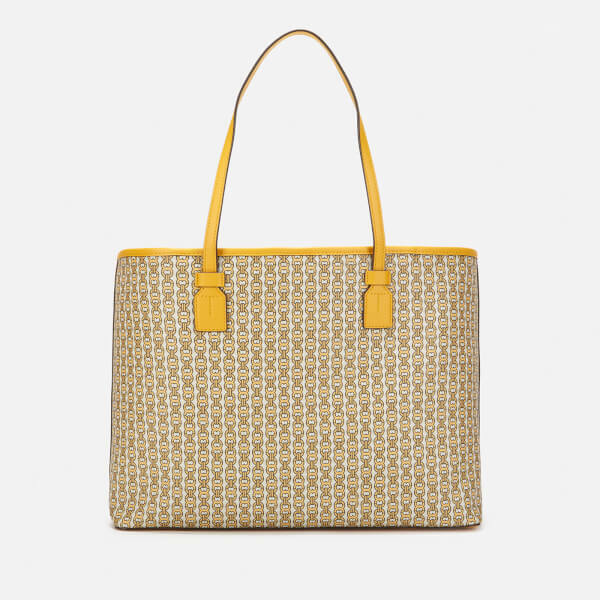 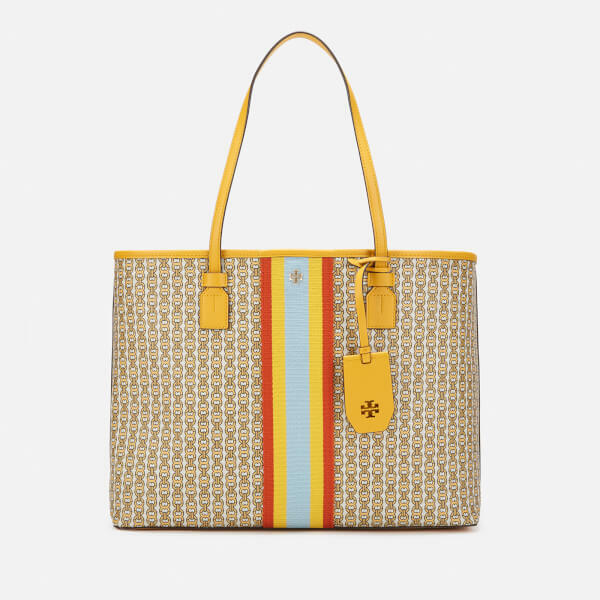 Accentuated with ochre-yellow leather trims, the ‘Gemini Link’ tote is distinguished by a decorative, tri-toned striped webbing embellishment that runs vertically down the front’s centre. 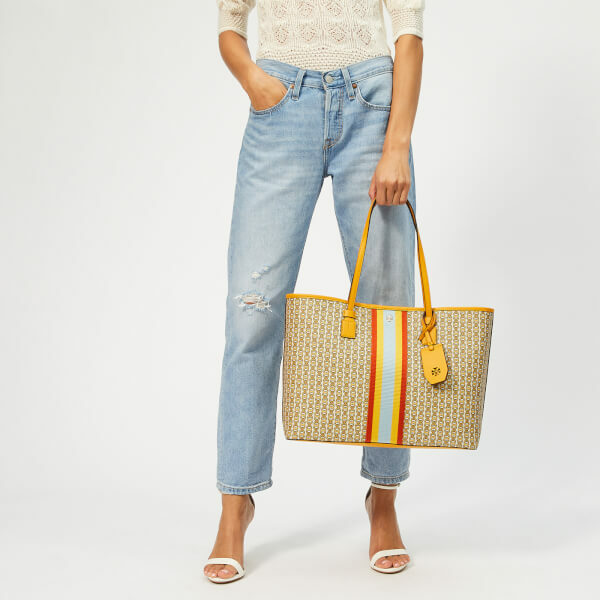 Suspended from a pair of handles that are long enough for shoulder wear, the eye-catching bag boasts an unlined, spacious open-top interior for easy access, with a large slip pocket within. 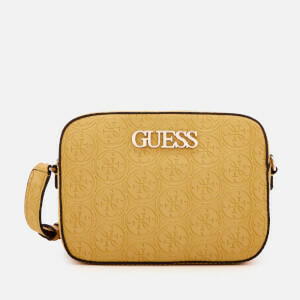 A small magnetic snap button tab at the top secures its contents. 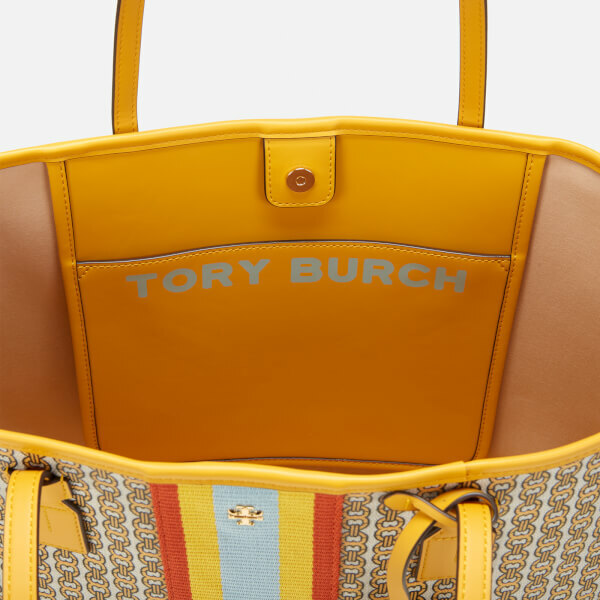 Structured thanks to its leather base and perimeters, the shoulder bag is complete with a gold-tone applique logo on the front and a detachable luggage tag. 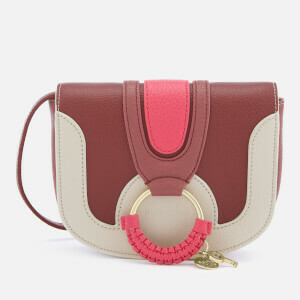 Dimensions: H: 29cm x W: 39cm x D: 14cm. 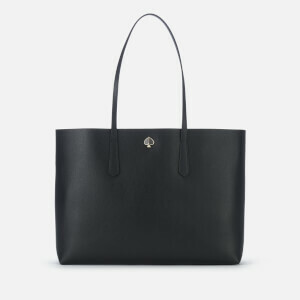 Handle Drop: 24cm.